Currently living/working in: We are enjoying the quiet of Fenton Ranch for just a few more days until the school children return for their environmental education program! The spring session only lasts 5 weeks, with kindergarteners coming up to the ranch for just the day, 1st graders for 1 night and 3rd graders for 2 nights, so it goes very quick!! Current mood: So much better than last month! More relaxed and content. Currently regretting: I’m mourning the loss of our winter. Even though March has actually been relatively wet, it was still a doozy overall. And meanwhile my East Coast friends and family were hammered with snow! I believe my parents in NJ ended up with 70 inches this winter. They didn’t want it, and we did. Boo. Better luck next year and let’s hope wildfires are not as bad as they predict this spring/summer. Currently excited about: While I don’t want to say goodbye to winter and cozy fires, I am excited about longer days and backpacking weather. I am still hopeful we can plan some camping and road trips to new places this summer, but that remains to be seen. Currently not excited about: KID GERMS. Although we both stayed healthy this fall and I wondered if we finally built our immune system against them, I know they will come fast & hard. Currently worried about: Actually, more amazed & excited than worried, but wildlife in our backyard!!! It really ebbs and flows here, and without daily snowfall, noticing wildlife activity has been harder. However, we’ve also been noticing lots of beaver activity in our backyard stream. 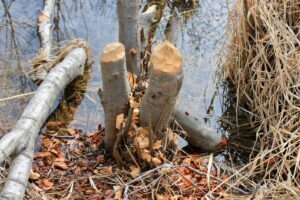 That is very exciting, especially for teaching the kids, although hot damn (pun intended), these beavers are destructive. The more exciting sighting happened from our cabin window TWICE this month. A BOBCAT! The first time I spotted “Bobby,” I was on the phone with my girlfriend in Ohio and stood up to get a drink of water. 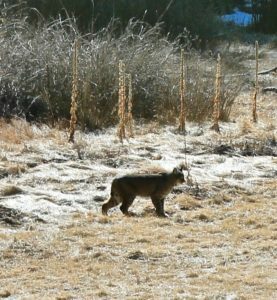 I said to her, “I think there is a bobcat in my backyard.” To which she responded, “Let me let you go so you can get a good picture for the blog!” Only my friends would have a response like that. 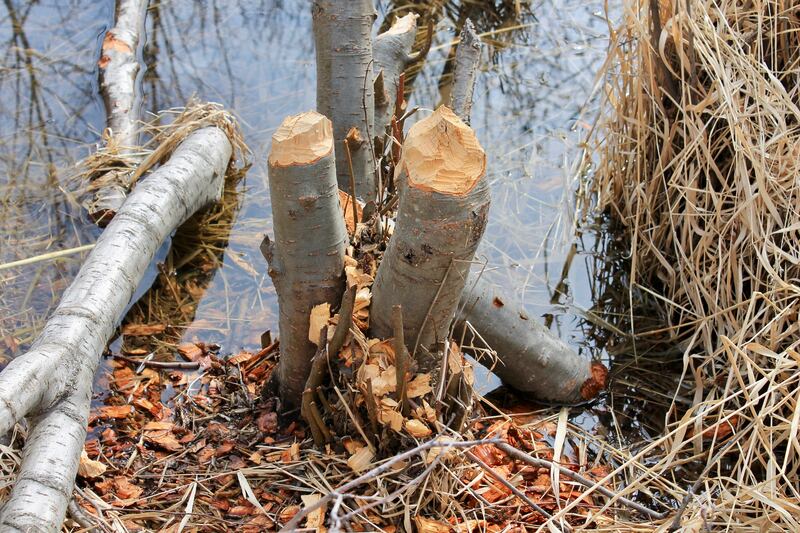 We still haven’t actually seen the beaver, but there are at least 6 trees down because of him/her. Currently thankful for: My new inhaler. In the last few years, I’ve been struggling more and more at altitude (I’m talking as low as 9,000 feet even) and just overall climbing. I attributed my labored breathing to old age (LOL). Well, it turns out I have very mild asthma. Simple fix. I’ve been using an inhaler 20 minutes before our hikes and I feel like a woman with a new set of lungs! For the medicine skeptic in myself, I realize I need to give more credit to modern medicine where credit is due! Currently proud of: Backpacker bylines not just for me, but for Justin! I’m still giddy over his first byline!!! If you told me 10 years ago Justin would have a byline in Backpacker, I would have laughed my head off. Read more about the behind-the-scenes story of being a gear tester here! Current guilty pleasure: Internet! Our Internet provider seems to have changed its plans up here in the mountains. While it is still satellite, it seems we have upgraded from 25 GBs of data per month to 60 GBs without even trying. Currently reading: I am obsessed lately with the history of Los Alamos and the era of remote bomb-making towns and the mysterious, yet monumental, research project that changed our world during the 1940s. I first read the nonfiction book, Wives of Los Alamos, by Tarashea Nesbit, which told the perspective of those who moved to rugged northern New Mexico sight unseen because their husbands had a secret job build the atomic bomb. Then I dove into The Atomic City Girls by Janet Beard. Though it was fiction, it was still based on real tales detailing the perspective of actual workers who moved to Oak Ridge, Tennessee, and had no idea they were creating weapons-grade uranium that would contribute to Los Alamos’ atomic bomb building. I’ve moved onto Los Alamos Place Names, which is more of an informative flip through book than a story, but it will feed my obsession and give more character to our local area. Currently watching on Netflix: We’ve moved onto another older crime drama TV series, The Killing, and are loving it. We’ve already plowed through the first season, so we’ll see how the next 3 go. Yeah! I was wondering when you would post the bobcat photo! Hopefully J got to see it on your second sighting. 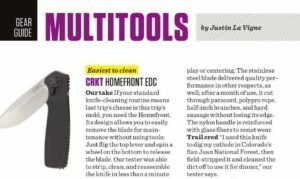 And congratulations to J for his first byline! We’re very happy for him and hope you are all ready–body-wise–for many kids soon. Kiki always said that kids are little petri dishes with their germs, and that’s so true! P.S. I’m sorry to hear about your asthma. That’s weird that you developed it recently. My sister and both kiddos had it when they were young, but only Lizzie has difficulty now when she is really active. Bobcat! That is just too cool! Ugh Asthma. I developed it as a teen and and it seemed to fade in the last several years, though I did stop eating a lot of dairy which seemed to exacerbate it. Hope you don’t get too sick from the kiddos! Sorry about the snow—from what I’ve read climate change is going to make the west drier and the east wetter. 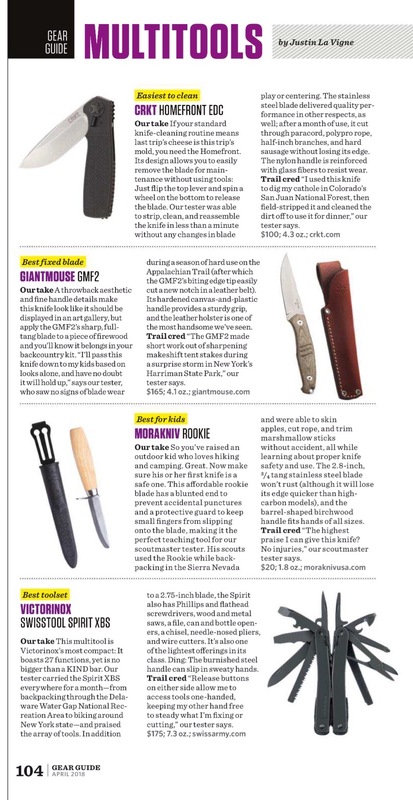 Woohoo for bobcats and bylines!